My latest book The Segovia Scales: Illustrated in with Standard Notation, Tablature, and Fretboard Diagrams is a re-illustration of the Diatonic Major and Minor Scales that Segovia published back in 1953. The goal of this project was to make the Segovia scales easier and quicker to learn for more guitarists. It was released a few months ago, so this post is a little late to the game, but I’m happy to see that people have found interest in it from many different parts of the globe. Diatonic Major and Minor Scales by Andrés Segovia was published in 1953 and consisted of 24 scales, 12 major and 12 minor, for which he applied his own unique fingerings. 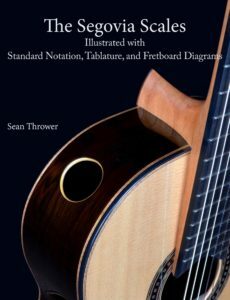 Here in this book, those scales are re-illustrated using a combination of standard notation, tablature, and fretboard diagrams. This makes them easier to read, quicker to learn, and accessible to more people. 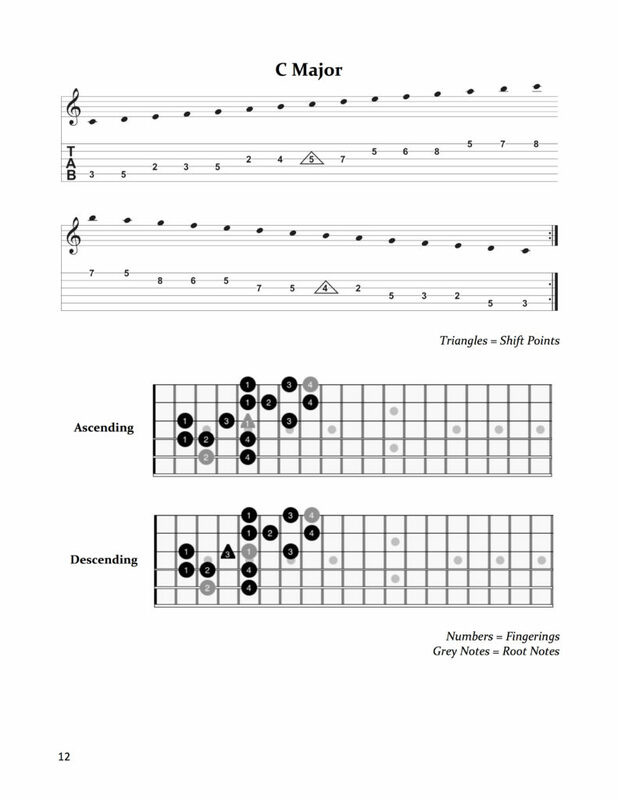 Also included in the material is an explanation of how Segovia organized the scales, a reference page displaying the 8 finger patterns used to play all of the scales, and practice tips for increasing speed and accuracy. The beautiful guitars on the front and back cover were crafted by Kris Barnett in Berlin, Germany. He makes wonderful instruments, and I highly encourage others to visit his site.